You are here: Home / Crafts / Doo To Doo! I think everyone who has had kids has done something with the cardboard tube in the middle of toilet paper and paper towel rolls. They are ubiquitous and for some reason children love them. What child has not put one up to his mouth, filled his lungs with air and bugled “Doo to doooo!” I don’t recall having a name for them when I was a kid. I think we just called them “toilet paper rolls” or “paper towel rolls”. Something really creative like that. When my oldest son was about 2 he liked to play with them and it was a big deal when we got to the end of either item so he could get a fresh one. One day, he came up to me and asked for the one I had recently liberated. I didn’t know what he was talking about as I was busy with some task. I could only tell he wanted something in the general direction of “over there”. He pointed to the tube and and said clearly, “I want the doo to doo.” Forever after after those tubes were known as Doo To Doos by our family. So, now that I have a grandson who is old enough to enjoy them, I decided to see what was new in the world of Doo To Doos. Of course people are making all sorts of interesting and cool crafts with them, but I wanted to send him one that was fun while still in line with what his Dad played with. After looking at many, many photos I decided on this. Very easy but I think the Duck Tape (hey that’s what they call it) will make it last longer than the original. 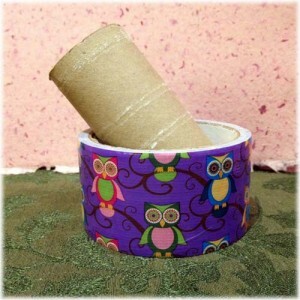 Duck Tape in whatever pattern/color you like – I thought the owls were cute! 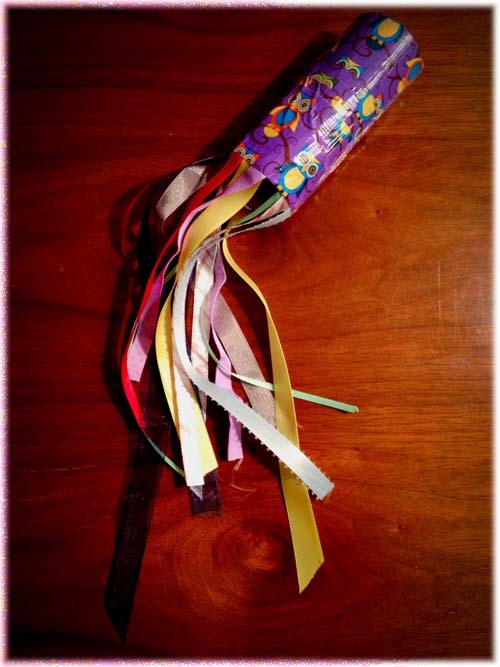 Cut 11 pieces of ribbon (depending on the width of your ribbon you might need one more or less) to varying lengths. Using double sided tape stick them around one end of the tube so that they will hang down. You can overlap the last one if you need to to make them fit. 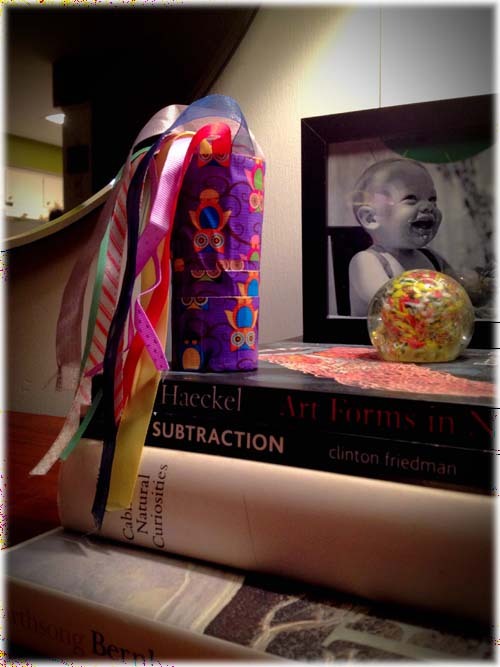 Starting at the end where you put the ribbon, begin wrapping the Duck Tape around the tube in strips. The straighter you can stay the better it will look, but after all, it’s a Doo To Doo, don’t stress about it. When you get to the end, go ahead and put some tape down inside. It should help it hold up to being blown into, if you know what I mean. I made a short one and a long one and sent the short one to my Grandson. Then, when we had a Face Time chat he was quite tickled with the ribbons blowing out the end of mine. Just a little silly Grandma/Grandson fun. Oh that’s fun !! Great idea for this Doo Doo, hihi the history of this nam makes me smile, adorable !